Homepage » Reviews » Is Server Freak Web Hosting Any Good? ServerFreak is nothing like what its name suggests. There are no odd or abnormal activities behind this web hosting provider. On the contrary, they are one of the most well known web hosting provider in Malaysia. This award-winning company has been around for more than a decade now and has grown tremendously over the years. Today, they are offering affordable web hosting solutions regardless of whether it’s for personal blogs, online businesses or multinational corporations. Besides web hosting, they are also offering various other services like email solutions, domain name registration, VPN and so on. ü Get the same 20% discount when you renew your subscription later. That’s right, the discount is recurring even for renewal. 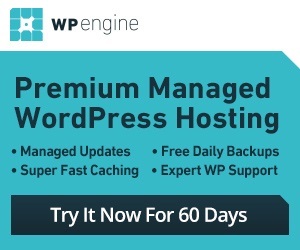 This coupon code is courtesy of 100Webhosting.com. ServerFreak understands that different users have different hosting requirements. Therefore, they have created a range of hosting plans to cater to these different demands. Here are some of the popular ones. ServerFreak has 2 types of Linux shared hosting. Unlike most web hosts who offer only a single control panel, ServerFreak gives subscribers a choice of either the cPanel or the Direct Admin control panel. Both plans comes with great features like free lifetime domain, unlimited email accounts and preinstalled scripts. ServerFreak offers 5 different packages for each of these 2 shared hosting plans, with varying disk space, bandwidth and number of domains. For those who want to set up an online business but lack the technical knowledge to create such a site, ServerFreak has the plan for you. With prices starting RM680 per year, Ecommerce Hosting comes with inventory management, multiple shipping methods and even generates management reports as well as supports various payment methods. WordPress is considered as one of the most popular blogging platforms and ServerFreak makes it easier (and quickly too) for you to create your own WordPress website. While many web hosts shy away from offering Microsoft Windows web hosting, ServerFreak has created a user-friendly and affordable Windows plan for those who wish to work with .NET and other Windows languages. Thereare 3 packages to choose from depending on the amount of resources you need. For those who need more resources, control or security than what shared hosting plans are offering, they let you upgrade to their Virtual Private Server and Dedicated Server plans easily. A resounding yes and here’s why. · Uptime and reliability – ServerFreak has a good reputation and so far, there are no major outages. · State-of-the-art technologies – ServerFreak has first class data centers in both Malaysia as well as in the US and these are powered by multiple sources to provide reliable connection. · No misleading marketing tactics – They do not believe in overselling and you get what you pay for. · Technical support – the support staff is very knowledgeable and responds fast to your queries, 24/7. · Full range of plans – They offer such a variety of web hosting plans that it is adequate to cater to almost all web hosting requirements and needs. You can easily upgrade to a higher plan with more resources or control, whenever you wish. I highly recommend ServerFreak for their affordable feature-packed plans, especially if your target visitors and customers are in Malaysia. You will undoubtedly notice the difference in speed and performance. With a variety of hosting plans, you will definitely be able to find one that fits your requirements and budget.